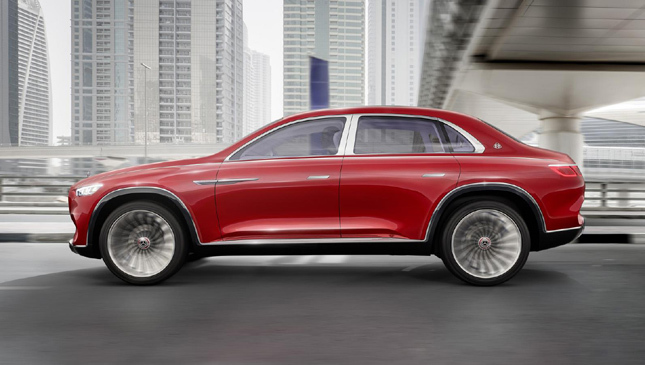 This is Maybach's first SUV. It's quite a thing, isn't it? 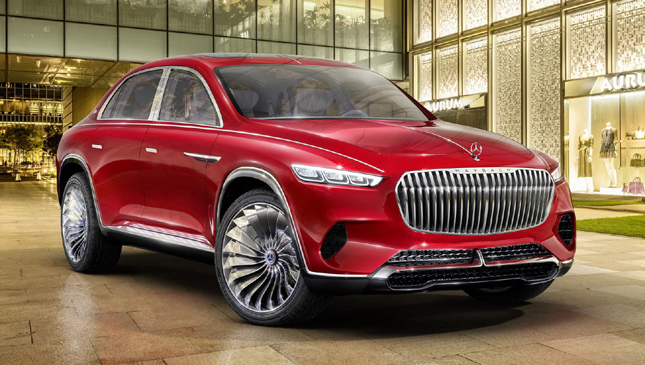 It's just a concept for now, but it suggests the final product won't just be the blinged-up Mercedes GLS we were half-expecting; it'll be something altogether more extraordinary. 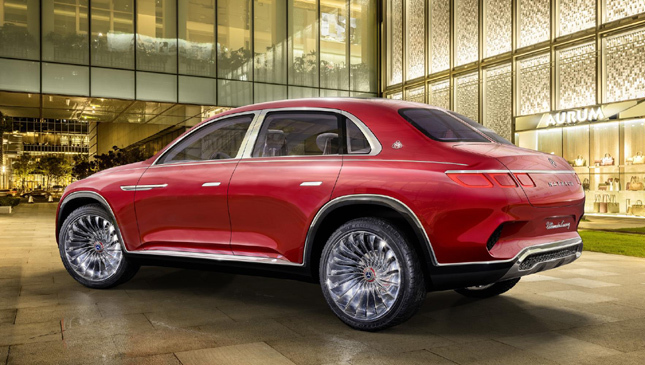 Called the Vision Mercedes-Maybach Ultimate Luxury, it comes with a lot of styling as standard. And a lot of design language to try and justify it. There's much talk of ‘'sensual purity,' 'athletic looks' and 'balanced proportions.' We'll allow you to judge whether it achieves any of those things. 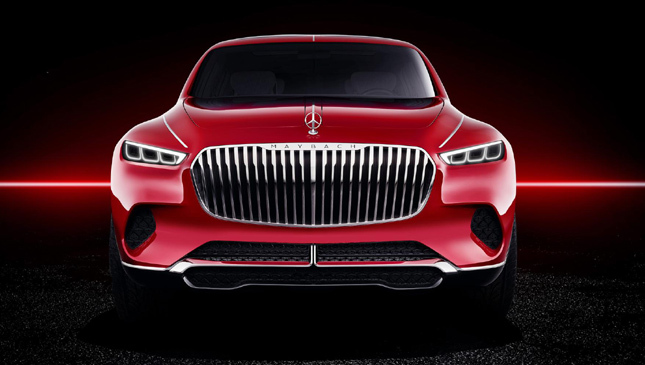 "The Vision Mercedes-Maybach Ultimate Luxury is a totally new archetype of a kind never seen before," says Gorden Wagener, Daimler's design boss. 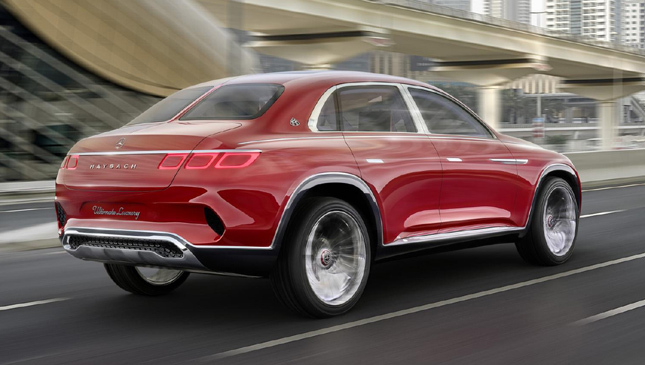 "Our concept combines the DNA of an SUV with that of a sedan to produce an ultra-modern SUV of three-box design." Beyond the shape, there are the details. The wheels are 24s (! 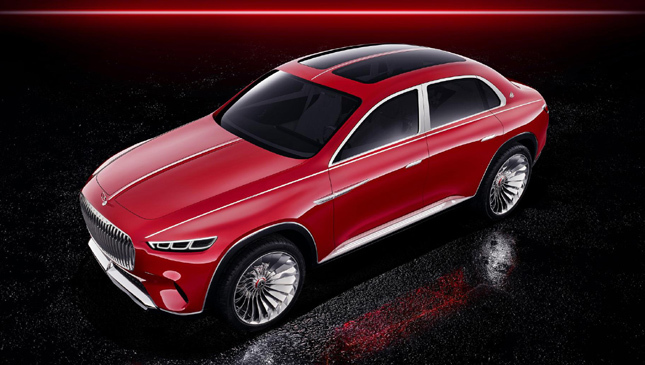 ), the door handles sit flush and extend electronically (like a Range Rover Velar's), while its grille is borrowed from the quite lovely Mercedes-Maybach 6 concept. Shame the rest of its design isn't. 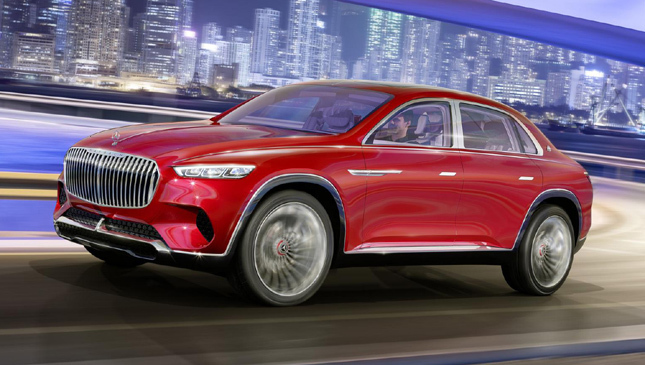 Size-wise, it's a whopper: Longer than an extended-wheelbase Range Rover and wider than just about anything you can buy—houses (only just) excluded. 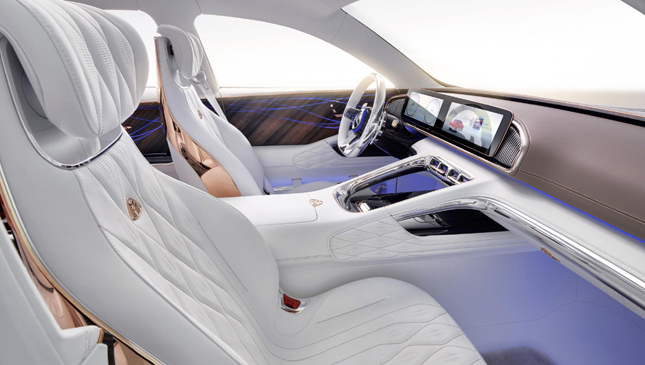 All the more helpful for creating space inside, which is what the Ultimate Luxury is really about. 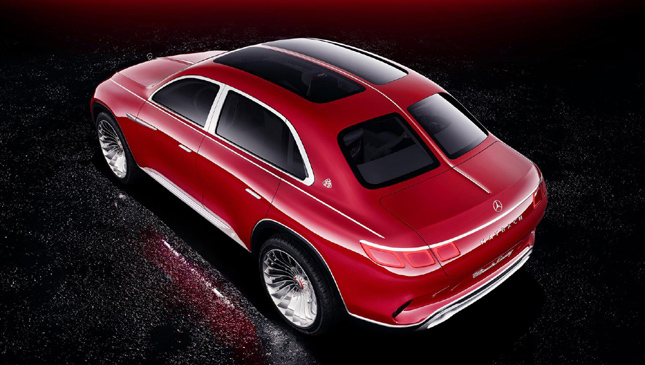 It's designed for chauffeur-driven use, so the back seats are priority. 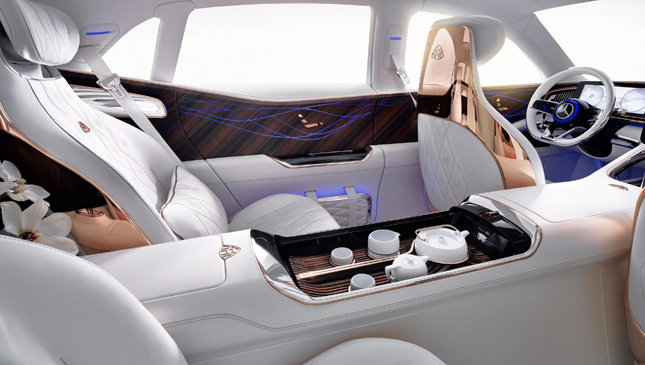 They're just like the seats you'll find in the back of a Maybach S-Class, only with even more adjustability, while the Ultimate Luxury is ready to hone itself to suit your mood. 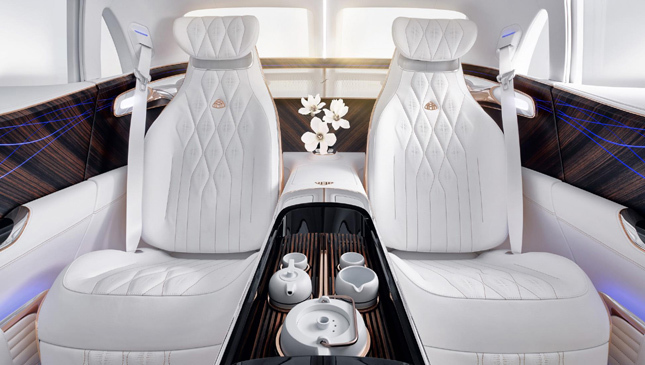 As well as Merc's usual suite of massage, fragrance, lighting and sound programs, this car comes with "various flavors of tea" to help chill you out. 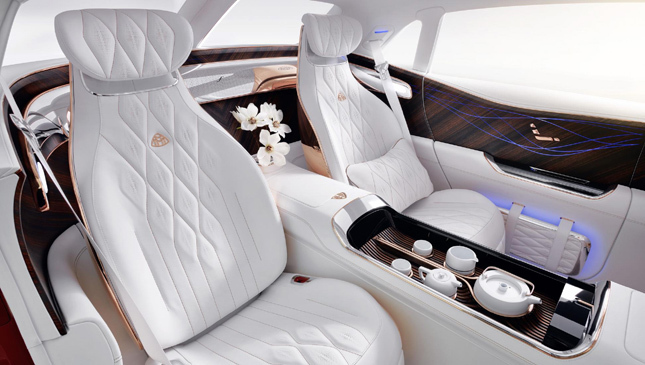 That aura of calm will likely shatter if you spill your brew over the really-quite-white leather, though. Then there's the almost trivial matter of how it's propelled. 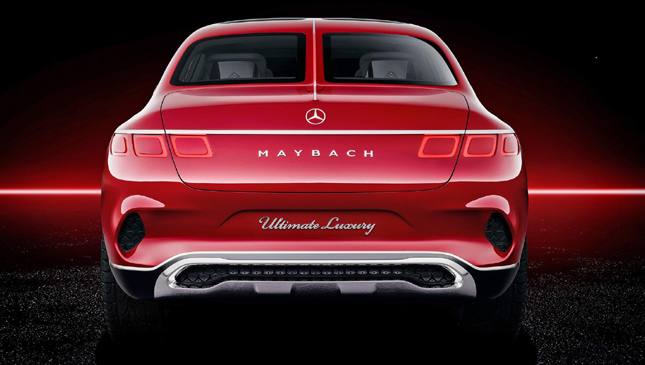 It's fully electric, with four motors combining to produce 740hp, which is shuffled variably between all four wheels. 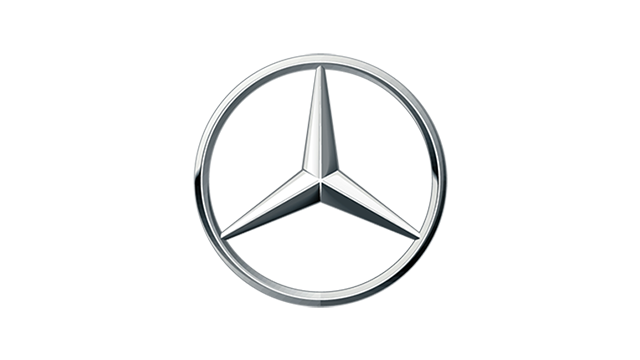 While most cars use clever torque vectoring to achieve ungodly cornering speeds, expect unruffled comfort to be top of the agenda here. NOTE: This article first appeard on TopGear.com. Minor edits have been made.